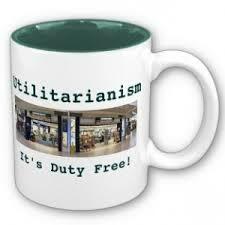 Utilitarianism: Is Killing One to Save Five Moral? You are a bystander seeing a runaway trolley, about to hit and kill five people. You can grab a switch and reroute it to a different track where it will kill only one person. Should you? Most people say yes. But suppose you’re on a bridge, and can save the five lives only by pushing a fat man off the bridge into the trolley’s path? Should you? Most say no. 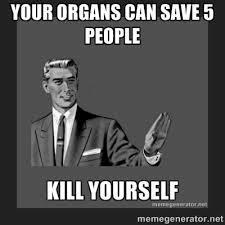 Or suppose you’re a doctor with five patients about to die from different organ failures. Should you save them by grabbing someone off the street and harvesting his organs? Aren’t all three cases morally identical? 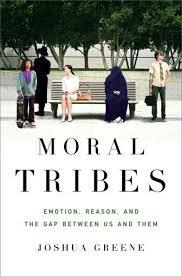 Such issues are central to Joshua Greene’s book, Moral Tribes. Our ethical intuitions were acquired through evolution, adaptations that enabled our ancestors to cope and survive in close-knit tribal societies. And our moral reflexes do work pretty well in such environments, where the dilemmas tend to be of the “me” versus “us” sort. But, because our ancestral tribes were effectively competing against other tribes, “us” versus “them” issues are another matter; and different tribes may see moral issues differently too. That’s the problem really concerning Greene. He argues for a version of utilitarianism (he calls it deep pragmatism). Now, utilitarianism has a bad rep in philosophy circles. Its precept of “the greatest good for the greatest number” is seen as excluding other valid moral considerations; e.g., in the trolley and doctor situations, violating the rights of the one person sacrificed, and Kant’s dictum that people should always be ends, never means. Greene’s line of argument (identical to mine in The Case for Rational Optimism) starts with what he deems the key question: what really matters? You can posit a whole array of “goods” but upon analysis they all actually resolve down to one thing: the feelings of beings capable of experiencing feelings. Or, in a word, happiness. 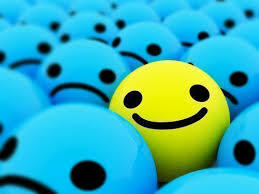 Happiness is a slippery concept if you try to pin down its definition. Is it a feeling – that one is happy? That’s circular; also simplistic. 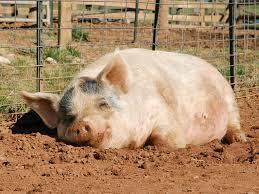 As John Stuart Mill famously suggested, it’s better to be Socrates dissatisfied than a pig satisfied. But in any case, nothing ultimately matters except the feelings of feeling beings, and every other value you could name has meaning only insofar as it affects such feelings. Thus the supreme goal (if not the only goal) of moral philosophy should be to maximize good feelings (or happiness, or pleasure, or satisfaction) and minimize bad ones (pain and suffering). A common misunderstanding is that such utilitarianism is about maximizing wealth. But, while all else equal, more wealth does confer more happiness, all else is never equal and happiness versus suffering is much more complex. Some beggars are happier than some billionaires. The “utility” that utilitarianism targets is not wealth; money is only a means to an end; and the end is feelings. This is what “the greatest good for the greatest number” is about. Jeremy Bentham, utilitarianism’s founding thinker, imagined assigning a point value to every experience. This is not intended literally; but if you could quantify good versus bad feelings, then the higher the score, the greater the “utility” achieved, and the better the world. But doesn’t this still give us the same problematic answer to the trolley and surgery hypotheticals – killing one to save five? In fact that answer flunks the utilitarian test. Because nobody would want to live in the kind of society where people can have their organs taken involuntarily (see this Monty Python sketch). That might be utilitarian from the standpoint of the people saved, but extremely non-utilitarian for everyone else. And while one can concoct bizarre hypotheticals as in trolleyology, the real world doesn’t work that way. In the real world, “utility” can’t actually be maximized by, say, 90% of the population enslaving the other 10% (another typical anti-utilitarian hypothetical). Meantime, if X is willing to sacrifice himself for what he thinks is the greater good, that’s fine; but if X is willing to sacrifice Y for what X thinks is the greater good, that’s not fine at all. It’s the road to perdition, and we know of too many societies that actually travelled that road. Thus, a true real-world utilitarianism incorporates the kind of inviolable human rights that protect people from being exploited for the supposed good of others – because that truly does maximize happiness, pleasure, and human flourishing, while minimizing pain and suffering. * “Trolleyology” is big in moral philosophy precincts. For another slant on it, see an article in The Economist’s latest issue. This entry was posted on May 24, 2014 at 11:26 am and is filed under Philosophy, Society. You can follow any responses to this entry through the RSS 2.0 feed. You can leave a response, or trackback from your own site. Several companies are experimenting with self-driving cars. No self-driving car has been in an accident yet. Engineers have thought of the problem and almost certainly have written computer code to respond appropriately when an accident is imminent. If I was writing the program I would first have the car try to hit people who were already breaking the law, such as jaywalkers. If no lawbreakers were visible, it seems best to minimize the number of laws the car violates. Pushing a fat man off a bridge and then hitting him seems like breaking two laws. I’d probably program the car to prefer to injure men instead of women and children. Even if more total people get hurt I’d go for maiming men over women or children. It is legal for the computer to turn the front wheels in any direction. I don’t have a philosophical explanation, but I’m unwilling to let the car hit a lady with a buggy when even a large cluster of men is an alternative. This isn’t an argument for greater good … merely my admission that I couldn’t sleep having design a car that paralyzed or killed a child. While such hypotheticals — like trolleyology — may provide interesting fodder for philosophical debate, in the real world choices like that are so rare as to be immaterial to actual life. Life is not as simple as the examples in the book. In the trolley example, what if the one person was a man with four young children dependent on him and the other five had no dependents? What would be the choice then? Would there be remorse by the switch thrower if he found this out afterwards? Yes, one could counter that the above example is an aberration and extremely rare but cumulatively these rarities add up to the complexity of life. Throw in the legal issues of purposefully killing someone by throwing a switch and the situation is even more muddled. What if one party, “the other”, rejects the idea of utilitarianism, or greater good, with the intent of crushing and eliminating the “us” for their greater good? In historical geo-politics where have the author’s ideas ever worked? I think you are over-reading what Greene (and I) say. As I did try to indicate, neither of us is talking about applying slavish utilitarian calculation to every situation, as in trolleyology. Rather, the point is to use the utilitarian idea as a “common currency” or lodestar for approaching moral dilemmas. 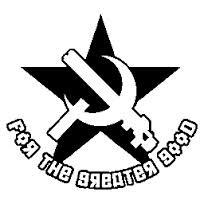 As for “historical geo-politics” many have purported to follow the principle of sacrificing some for the “greater good” — e.g., communism — but it’s typically been a warped idea of the greater good, akin to the surgeon hypothetical, where the resulting society is not actually good for anybody. On Memorial day let us remember those who volunteered to submit their liberty (and in some cases life) to maximize utility as calculated by their sergeant, commander, army, and nation. Thank you. As one who, frankly, did not do it, I am profoundly mindful of such noble sacrifices by others. Frank, the only problem with utilitarianism is that it presupposes all people have equal value, which is nonsense. WOW. So . . . YOU are going to judge who has more value than another? Or WHO will judge? I’m not saying I would make a good judge (I’d be just ok), but that’s the problem with utilitarianism if you ask me. So the “problem” is that lives don’t have equal value . . . yet nobody can judge that? I think you are missing something. A world with more pleasure and less pain is a better world. That’s utilitarianism in a nutshell. You disagree with that because . . . ? I would recommend looking at the literature on positive psychology for empirically validated measures of well being that go well beyond feelings or “happiness.” The closest to the latter is “subjective well being,” but other more encompassing measures include “psychological well being” and “eudaimonic well being”. (These would include things like acting virtuously, and having autonomy, for example. This second variable can take care of some of the counterintuitive cases for standard utilitarianism.) Many of the variables included in these measures are interdependent, and plausibly may represent a cluster of feature that belong together as a natural kind. I did indicate that trying to define “happiness” is problematic, and simplistic notions don’t cut it. And what you say fits with what Mill said about Socrates versus the pig. Nevertheless, the point remains that the feelings in question — whatever you want to call them — are the true bottom line. I’ll go with “whatever you want to call them,” but they ain’t (just) feelings. But I agree with the consequentialism – and seen from that broad agreement, this is just a quibble on my part. Yes, the problem is that lives don’t have equal value. If everything just amounts to more pleasure for more people then just give everyone drugs.